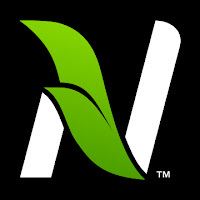 When planning your fall fertilizer applications on your ryegrass, fescue, and orchardgrass, it is important to calculate how many nutrients have been removed from the previous crop in the seed and straw. With the amount of baled straw being removed from the fields this past harvest, it may be very surprising how much has been removed in total nutrients. 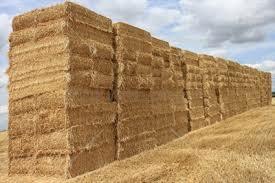 The biggest use of nutrients in the straw of course is Potash. 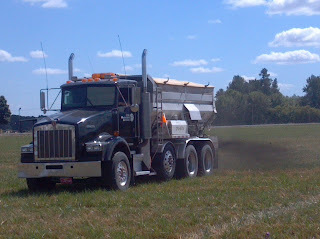 For a two ton straw removal of ryegrass, 80 pounds of potash is removed. 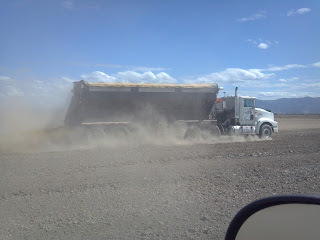 For three tons of fescue straw, 120 pounds of potash is removed. 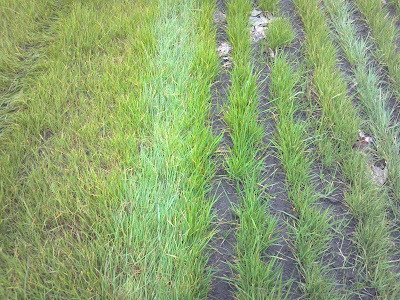 Orchardgrass straw removal is very similar to fescue. 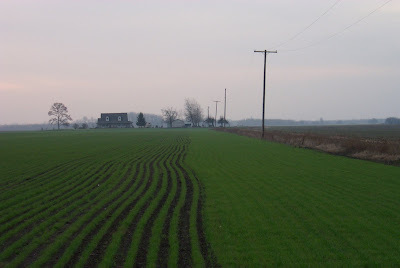 Based on Oregon State University work lead by Dr. John Hart, you can calculate nutrient removal in the straw for both fescue and ryegrass species by the following; Nitrogen @ 1%, Phosphorus @ 0.1%, Potash @ 2.0%, and Sulfur at 0.2%. Numbers for calcium and magnesium are very similar in ryegrass and fescue, with calcium running 0.3% in fescue, and 0.35% in ryegrass. 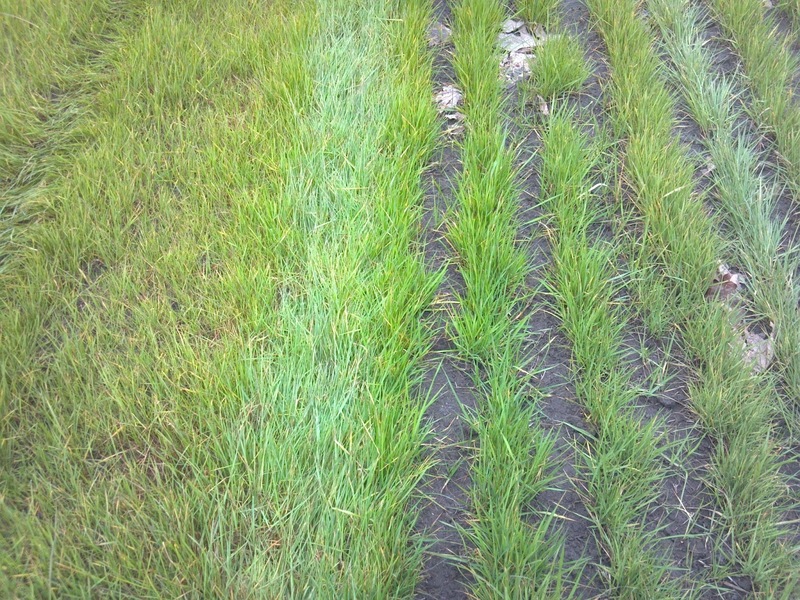 Magnesium in fescue straw is 0.18%, and 0.12% in ryegrass. Using these numbers for fescue straw, one ton of fescue straw contains approximately 20 pounds of nitrogen, 2 pounds of Phosphorus, 40 pounds of potash (potassium), 6 pounds of Calcium, 3.6 pounds of magnesium, and 4 pounds of sulfur. Since most fescue straw yields between 2.5 and 3.5 tons per acre, total nutrient removal can add up quickly most notably with potash as high as 140 pounds per acre. 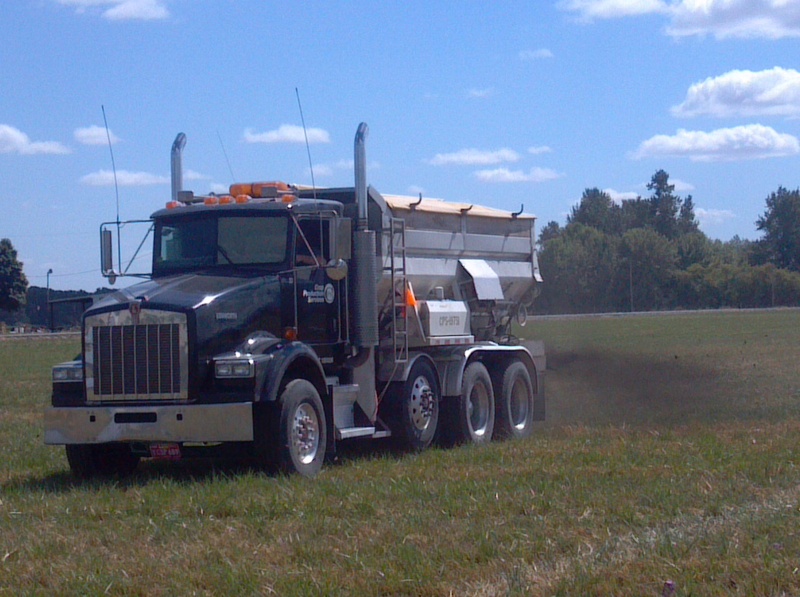 These are important numbers to know as you plan your fall fertilizer programs. 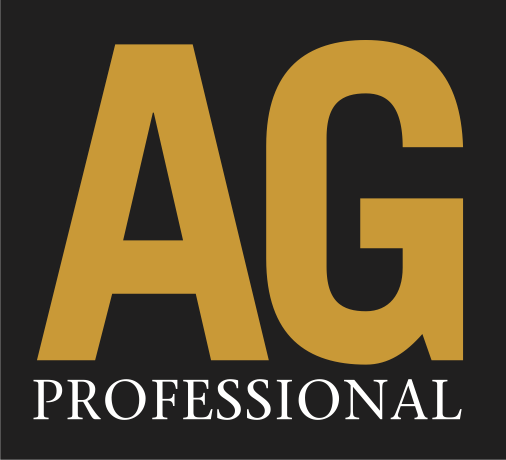 Work with your CPS crop advisor to formulate a plan of attack for your fall nutrient needs based on your yields of seed and straw, and your crop production goals for the coming season, and available soil amendments and nutrients. 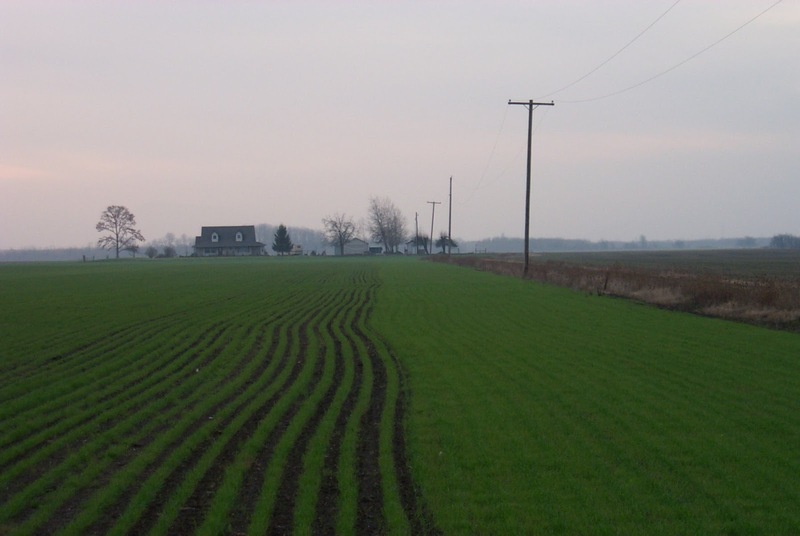 For a more detailed report on nutrient removal, check out the Oregon State Extension publication EM9051, Postharvest Residue Management for Grass Seed Production in Western Oregon. Here are a couple related topics I wanted to share. First is an article about a upstart tech company adapting modern technology to the very old practice of beekeeping. Below that is an article from Oregonians for Food and Shelter (OFS) discussing changes made to federal pesticide labels with bee safety in mind. Beekeeping isn’t exactly something you read about a lot in the tech press, but it’s a big business with about $268.9 million in revenue in the U.S. alone, and technology is slowly finding its way into apiaries around the world. Beezinga, the Microsoft Imagine Cup finalist from Slovenia, has developed a system of sensors for standardized beehives (yes, there are standards for beehives). The system can measure things like the temperature and humidity in the hive, as well as the amount of honey production (by measuring the weight of the hive) and the overall activity of the hive by analyzing a video feed of bee activity at the entrance of the hive. The Beezinga believes it will cost about $40 to retrofit a single hive. That, the team believes, is a price commercial beekeepers will be more than happy to pay to get analytics about their hives. Beezinga is currently beta testing the system and plans to adopt a subscription model once it goes into production. The system regularly updates data from the hive to the cloud and beekeepers can then use a web app to get a quick overview of how their bees are doing. The system, of course, can also send real-time alerts when something is amiss. 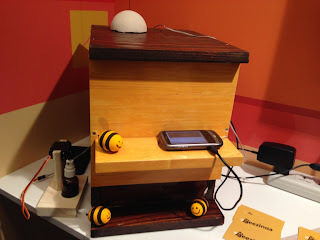 Right now, Beezinga uses a standard cell phone with a data connection to send this data from the often remote apiaries (and multiple hives can talk to the same phone), but the team is also looking into how to use off-the-shelf technologies to integrate wireless technologies directly into the system without the need for a phone. One cool aspect of Beezinga is that it doesn’t just do analytics, but that it can also defend the hive from attacks from other bees. Using audio analytics, the system recognizes when the hive is under attack and starts spraying water at the attackers in front of the hive. For the most part, this is enough to repel these kinds of attacks. Given the discussion around colony collapse disorder, Beezinga also believes that it can create a large database of information around beekeeping that may be able to help researchers understand what exactly is happening to bee populations around the world. Beezinga is currently competing in the Imagine Cup finals in St. Petersburg. After presenting their projects to a group of judges over the last two days, the finalists will now have to wait until tomorrow before they will hear if they won one of the prizes up for grabs at Microsoft’s annual student technology competition. Only a couple of the active ingredients mentioned in this article are used in our area under various trade-names. Be sure to talk with your CPS Fieldman about the products that are used in our area and how we maximize bee safety. Also check out the links at the bottom of the article for more info. EPA develops new labels that prohibit neonicotinoid pesticide products where bees are present. In an ongoing effort to protect bees and other pollinators, the U.S. EPA has developed new pesticide labels that prohibit use of some neonicotinoid pesticide products where bees are present. "Multiple factors play a role in bee colony declines, including pesticides. The EPA is taking action to protect bees from pesticide exposure and these label changes will further our efforts," said Jim Jones, assistant administrator for the Office of Chemical Safety and Pollution Prevention. The new labels will have a bee advisory box and icon with information on routes of exposure and spray drift precautions. Today's announcement affects products containing the neonicotinoids imidacloprid, dinotefuran, clothianidin, and thiamethoxam. The EPA will work with pesticide manufacturers to change labels so that they will meet the Federal Insecticide, Fungicide, and Rodenticide Act (FIFRA) safety standard. In May, USDA and EPA released a comprehensive scientific report on honey bee health, showing scientific consensus that there are a complex set of stressors associated with honey bee declines, including loss of habitat, parasites and disease, genetics, poor nutrition, and pesticide exposure. 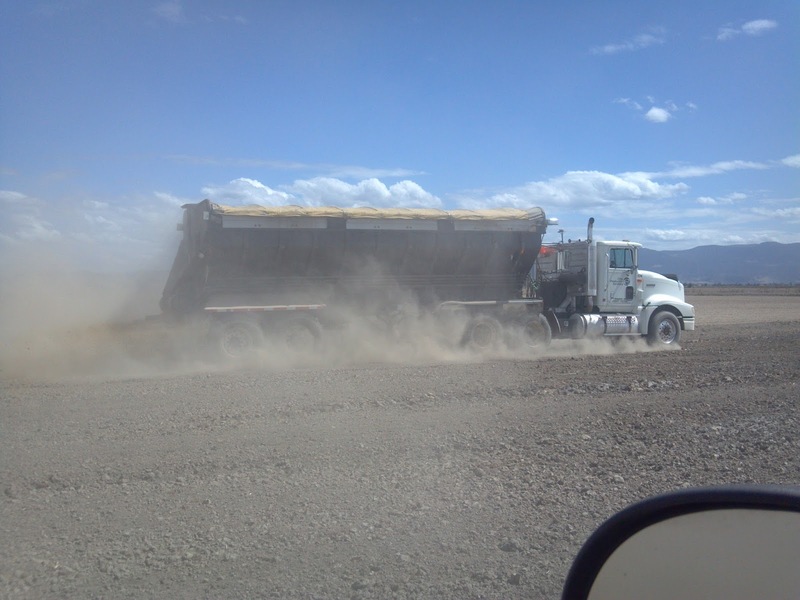 The agency continues to work with beekeepers, growers, pesticide applicators, pesticide and seed companies, and federal and state agencies to reduce pesticide drift dust and advance best management practices. The EPA recently released new enforcement guidance to federal, state, and tribal enforcement officials to enhance investigations of bee kill incidents. Click here for more on EPA's label changes and pollinator protection efforts. Click here to view the infographic on EPA's new bee advisory box. 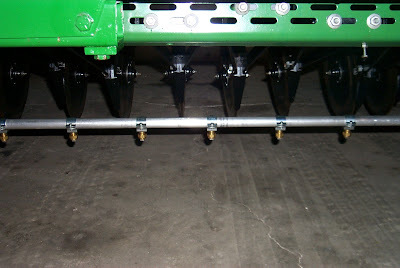 As the ground work begins to slow down its time to switch gears to fall planting and fall fertilizer. 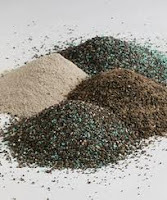 As you prepare for the fall season make sure to talk to your CPS fieldman about the different fertilizer blend options and what will work best for your farm. 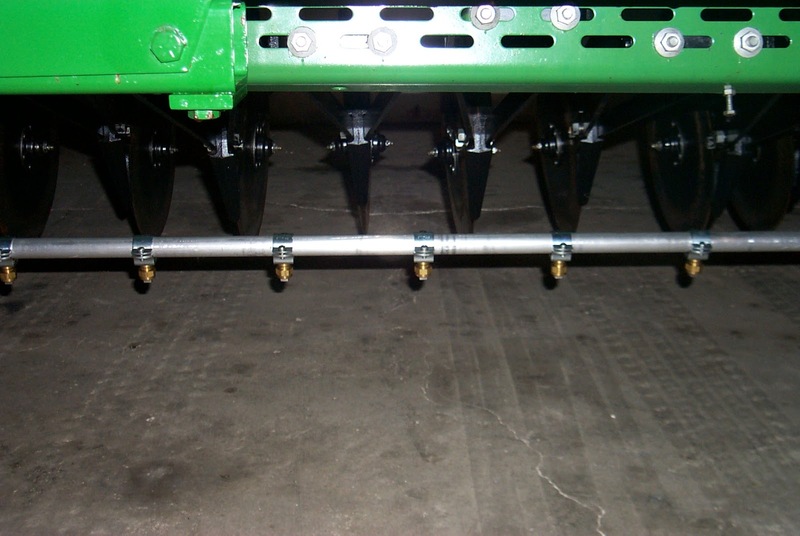 Also if you are planting annual ryegrass make sure to talk to him about getting your drill set up for using Axiom while drilling or if you are already set up for Axiom make sure to contact him for calibration, and to work out the start of season troubles you can have. With most of the crops harvested and the next cropping year about to start, it is a good time of year to add needed soil amendments﻿. Please contact you CPS field person to see what materials we have able to meet your needs.